AE Smith offers Australia-wide refrigeration services. We provide refrigeration design, procurement, installation, commissioning, service and maintenance. 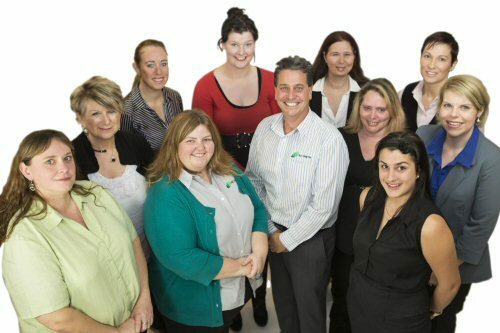 But AE Smith’s Customer Service team is turning these perceptions on their head – with a locally based helpful team of people who embody the character and personality of AE Smith – Likeable and loyal; empathetic and responsive. “Forget what you think about call centres, our Customer Service team is doing an amazing job,” says AE Smith Operations Manager (and former Perth Service Manager), Wayne Long. Staffed with a team of locals, AE Smith’s Customer Service teams located in Melbourne and Townsville answer calls from all over Australia. “My team is often the first port of call for our customers and responsible for delivering the style of service AE Smith is known for – they are helpful, responsive and reliable – not always a typical scenario for most call centres,” adds Wayne. Charged with handling customer enquiries and responding to on site calls from AE Smith field technicians, the Customer Service team ensures AE Smith’s technicians are in the right place, at the right time to help our customers. “As you would expect, the team are pretty proficient at juggling a lot of different balls at the same time – they need to know our customer’s sites, know the sorts of technical problems that could arise, relate these to our technicians and all in a clear and timely manner,” adds Wayne. “They really are the front line for our Service business – they’re talking with our customers all the time and how they perform reflects directly on our ability to deliver practical and commercial solutions in the field,” said John. “It’s great to know that the Customer Service team embrace the same work pride and accountable work ethic you’ve come to expect from our team in the field. Building and maintaining positive relationships with internal and external customers alike; the Customer Service team complements the long term perspective we take that results in good working relationships we look for in our customers, says John. “At their best, this team is the exception to the rule,” concluded Wayne.